Herbal vinegars are an unstoppable combination: they marry the healing and nutritional properties of apple cider vinegar with the mineral- and antioxidant- richness of health-protective green herbs and wild roots. Herbal vinegars are tasty medicine, enriching and enlivening our food, while building health from the inside out. Minerals are important for the health and proper functioning of our bones, our heart and blood vessels, our nerves, our brain (especially memory), our immune system, and our hormonal glands. No wonder lack of minerals can lead to chronic problems and getting more can make a big different in health in a few weeks. One of the best way to get more minerals -- besides drinking nourishing herbal infusions and eating well-cooked leafy greens -- is to use herbal vinegars. Some people worry that eating vinegar will upset the balance of gut flora and contribute to an overgrowth of candida yeast in the intestines. Some people have been told to avoid vinegar altogether. My experience has led me to believe that herbal vinegars help health those with candida overgrowth, perhaps because they're so mineral rich. I've worked with women who have suffered for years and kept to a strict "anti-candida" diet with little improvement and seen them get better fast when they add nourishing herbal vinegars (and fermented foods such as sauerkraut, miso, and yogurt) to their diets. Pour room-temperature vinegar into the jar until it is full. Cover jar: A plastic screw-on lid, several layers of plastic or wax paper held on with a rubber band, or a cork are the best covers. Avoid metal lids -- or protect them well with plastic -- as vinegar will corrode them. * Collect jars of different sizes for your vinegars. I especially like babyfood jars, mustard jars, olive jars, peanut butter jars and individual juice jars. Look for plastic lids. * The wider the mouth of the jar, the easier it will be to remove the plant material when you're done. * Always fill jar to the top with plant material and vinegar; never fill a jar only part way. *Really fill the jar. This will take far more herb or root than you would think. How much? With leaves and stems, make a comfortable mattress for a fairy: not too tight; and not too loose. With roots, fill your jar to within a thumb's width of the top. * After decanting your vinegar into a beautiful jar, add a spring of whole herb. Pretty. * Pour a spoonful or more on beans and grains as a condiment. * Use them in salad dressings. * Add them to cooked greens. * Season stir-frys with them. * Look for soups that are vinegar friendly, like borscht. * Substitute herbal vinegar for plain vinegar in any recipe. * Put a big spoonful in a glass of water and drink it. Try it sweetened with blackstrap molasses for a real mineral jolt. Many older women swear this "coffee substitute" prevents and eases their arthritic pains. * Redo experiment number two using different kinds of egg shells -- white ones and brown ones, store-bought and farm-bought, from caged birds and free-range birds. Can you see any differences? Taste or smell any differences? * Make vinegars at different times of the year and compare them. * Unpasteurized vinegar can form a "mother." In a jar filled with herb and vinegar, the vinegar mother usually grows across the top of the herb, and looking rather like a damp, thin pancake. Kombucha is a vinegar mother. Does your local health food store sell mothers? kombucha? What is a vinegar mother? Is it harmful? * What is an ionic form of a mineral? * What is a mineral salt? * How do our bodies uptake and utilize minerals? Use one or more of the following plants to make an herbal vinegar that can reverse and counter osteoporosis. Dose is 2-4 tablespoons daily. Study herbal healing with Wise Woman Susun Weed – focus is on personal empowerment and spiritual healing for women worldwide (herbal healing workshops by request taught in New York, California, Texas, Florida, Oregon, and elsewhere). Study with her at the Wise Woman Center in Woodstock NY. 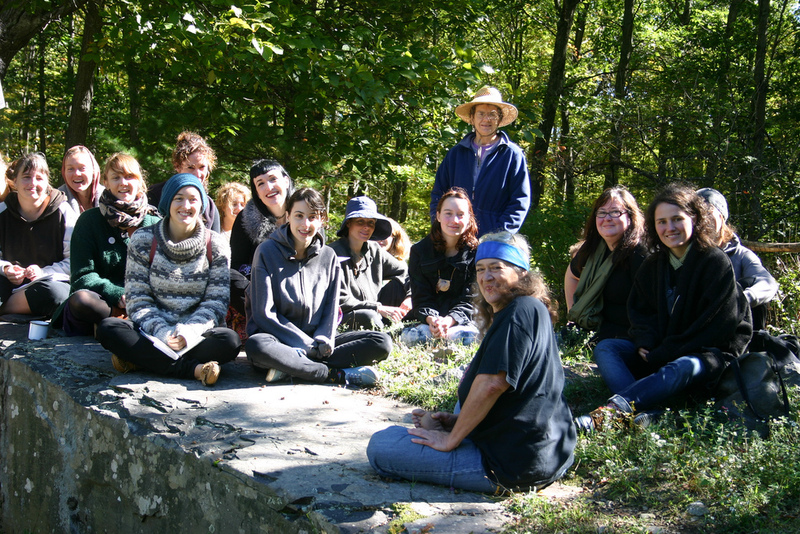 Learn about herbal medicine and women's health during one-day classes, intensives, as a correspondence course student or via an apprenticeship. Susun Weed is also founder of Ash Tree Publishing, publishing women's health and herbal studies books - empowering women with knowledge - topics include menopause, childbearing, breast health, cancer prevention, herbal health, spirit healing, mental and physical well-being. For more information, visit susunweed.com and wisewomanbookshop.com.